It's my opinion that Walt Disney was irreplaceable. While Bob Iger is turning out to be a very good leader, he's not a Walt Disney. I agree with you for the most part, but Walt was certainly more friendly, personable, and accessible. Steve Jobs is very mercurial, suffers from a "cult of personality," and is not friendly or approachable, but all accounts. That said, both were very passionate, creative leaders, and personify the phrase, "quality will out." Hopefully some of that will rub back from Steve Jobs to TWDC. Jim Cramer is an irresponsible hack--who has his own financial incentive to create uncertainty around Apple. I disagree with Cramer's assessment. He says that Jobs is an idea man and credits all of Apple's creativity to Jobs. 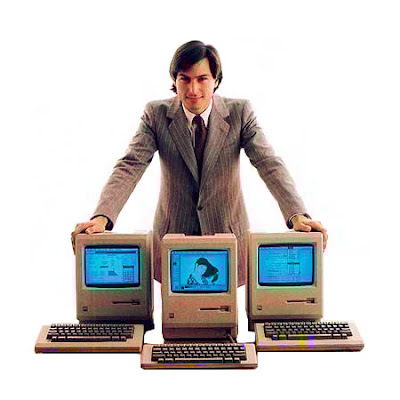 I seriously doubt that it was Jobs who came up with the iPod, iPhone, and revolutionized the Mac. There are many, many people at Apple whose job it is to think up new and creative ideas. It is other people's jobs to take those ideas and implement them. I think where Jobs is successful is finding those people and in creating an environment where they are encouraged to think creatively. He also has the ability of recognizing good ideas and pushing them to be better. His leadership is important to Apple, not his ideas. What about Steve Wozniak? He founded Apple as well. Please don`t compare! Jobs only loves money!that's only Pixar for him. He tried to sell it, many, many times. I know.. Don't compare people to Walt or say that other people are the modern versions of him.... Walt is one and only, his own person, and irreplaceable.. I don't know if anyone caught it, but at Apple's WWDC conference during the keynote Steve Jobs placed "it's a small world" for a few minutes while showing how many countries the iPhone was going to be released in. It was a funny moment. But when they made the keynote into a video, they muted out the music. Isn't that odd? One of the largest shareholder at Disney, Mr. Jobs, can't even get Disney to let him distribute the song as part of a video in a podcast? My only guess is that they wanted some cash for playing the music over and over, funny how even Steve Jobs couldn't get away with that one.